Tyree Daye holds a MFA from NC State University. He is a longtime member of the editorial staff at Raleigh Review. 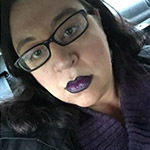 Daye’s work has been published in Prairie Schooner, San Pedro River Review, Sugared Water, HEArt and has poems forthcoming in Four Way Review. 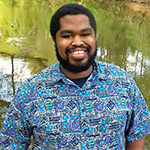 Tyree is the author of the chapbook What You and The Devil Do to Stay Warm by (Blue Horse Press, 2015) and River Hymns, winner or the 2017 ARP Honickman First Book Prize. He is a Cave Canem fellow. 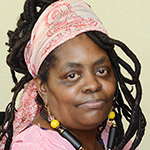 Allison Joseph received a BA from Kenyon College and an MFA from Indiana University–Bloomington. She is the author of several poetry collections, including Confessions of a Barefaced Woman (Red Hen Press, 2018); Worldly Pleasures (Word Press, 2004); and What Keeps Us Here (Ampersand, 1992), winner of the John C. Zacharis First Book Award. She also serves as the editor-in-chief and poetry editor of Crab Orchard Review. 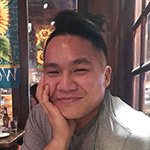 Eric Tran holds an MFA from UNCW. He is the author of Affairs with Men in Suits, and was winner of the 2015 New Delta Review Matt Clark Prose Award and a finalist in the 2015 Indiana Review 1/2K Prize and the Tinderbox Poetry Prize. Tara Betts is the author of Break the Habit (Trio House Press) and Arc & Hue (Willow Books). 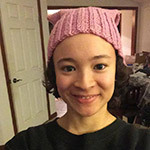 She teaches at the University of Illinois-Chicago and lives in Chicago. She has appeared on HBO’s Def Poetry Jam and her work has appeared in Essence Magazine, Callaloo, Drum Voices Revue, WSQ, Columbia Poetry Review, Ninth Letter, Hanging Loose, and Drunken Boat. Dariel Suarez was born and raised in Havana, Cuba. He immigrated to the United States with his family in 1997, during the island’s economic crisis known as The Special Period. Dariel’s story collection, A KIND OF SOLITUDE, was selected as the winner of the 2017 Spokane Short Fiction Prize. 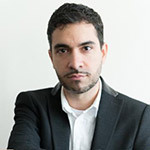 He is the Director of Core Programs and Faculty at GrubStreet, the country’s largest and leading independent creative writing center. 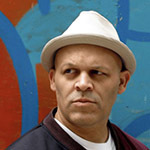 Aaron Counts, lead artist for Creative Justice, understands the transformative power of art. He has written and read with professors, prisoners, dropouts, and scholars. He is a co-author of the non-fiction text Reclaiming Black Manhood, and a long-time lecturer on the subject of race and social justice. His writing has recently appeared in Specter magazine, Bestiary, Aldebaran Review and Rufous City Review. Aaron holds an MFA from the University of British Columbia. Aozora Brockman holds an MFA from Northwestern University. 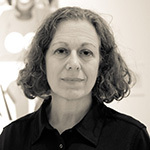 Her work has appeared in the Split Rock Review and Chicago Tribune. She grew up on a small, family-operated organic farm in Central Illinois, and much of her poetry is influenced by the meditative spaces of weeding and harvesting. 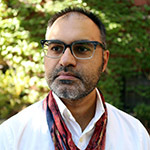 Faisal Mohyuddin is a writer, artist, and educator from Chicago, Illinois. He is the author of The Displaced Children of Displaced Children (Eyewear Publishing, 2018), winner of the 2017 Sexton Prize. The recipient of Prairie Schooner's Edward Stanley Award and a Gwendolyn Brooks Poetry Prize, his work appears in the Missouri Review, Narrative, Crab Orchard Review, Poet Lore, RHINO, Tinderbox, Chicago Quarterly Review, Atlanta Review, and elsewhere. 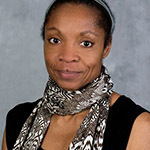 Cynthia Parker-Ohene is a Hurston-Wright Fellow with the Hurston-Wright Foundation. She was awarded the Zora Neale Hurston Scholarship at Naropa University. She is also a Callaloo Fellow. Her work has been featured in the following publications: Ecotone, Crab Orchard Review, The Ringing Ear: Black Poets Lean South, Black Nature: Four Centuries of African-American Nature Poetry, Tuesday: An Art Project, among others. Cynthia Parker-Ohene has an MFA from the Saint Mary’s College of California where she was the Chester Aaron Scholar of Creative Excellence. Naoko Fujimoto was born and raised in Nagoya, Japan. She was an exchange student and received a B.A. and M.A. from Indiana University. Her forthcoming poetry collections is Where I Was Born, winner of the editor's choice by Willow Books, Spring, 2019. Her first chapbook, Home, No Home, won the annual Oro Fino Chapbook Competition. She is a RHINO Poetry fellow. C.P. Mangel was a corporate counsel for over twenty years. She holds a Master of Fine Arts in Creative Writing through the University of British Columbia. She is the author of Laundry. 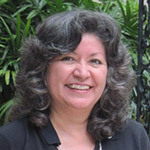 Beatriz F. Fernandez is a poet and librarian in Miami, Florida. She's the author of Shining from a Different Firmament (Finishing Line Press, 2015). She’s a former grand prize winner of the Writer’s Digest Poetry Award. Her poems have appeared in Boston Literary Magazine, Falling Star Magazine, Minerva Rising, Verse Wisconsin, When Women Waken and Writer’s Digest, among many others.